Picked up Braydens buck Monday from the taxidermist. 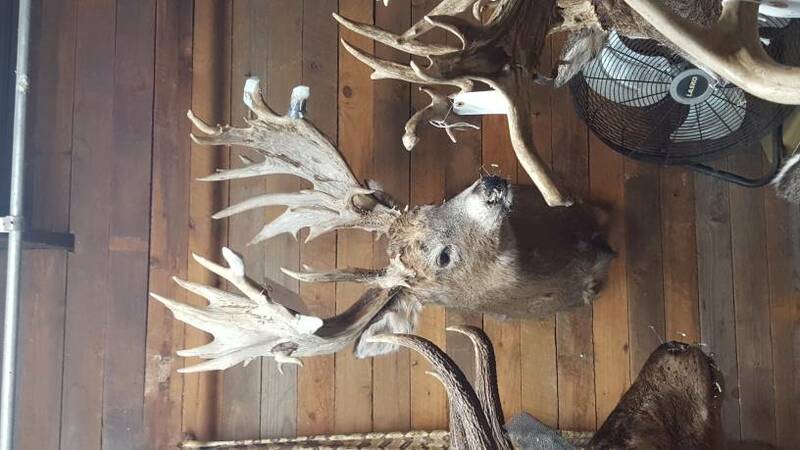 While in there he said cone check these out... Four bucks killed by the same guy on a high fenced farm in Ohio in one trip! Two go over 400 inches and all are freaks of human manipulation. I'm guessing he paid 100,000 -150,000 dollars to kill them. I'm anti high fence personally but to each his own I guess. No sport in it but I wanted to share because I've never personally seen that amount of bone. 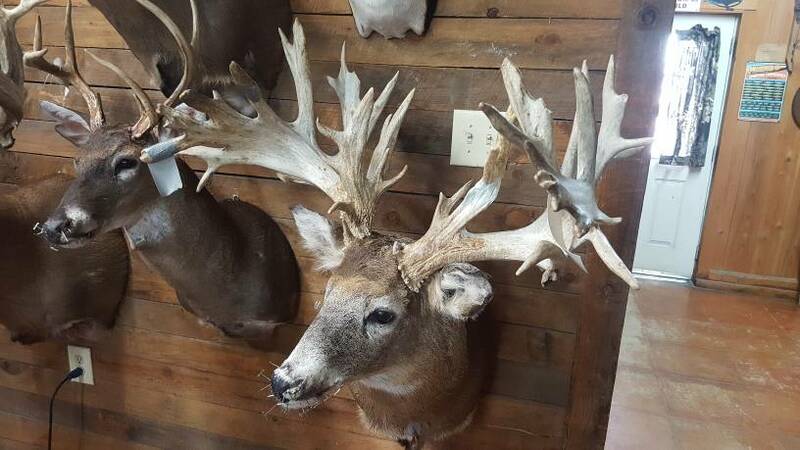 Also gonna post Braydens 100% fair chase buck..
Any idea why some posted sideways?? Not sure why some posted sideways but I agree with you about high-fence hunting. I'm not a fan of it but if someone wants to do it, it's up to them. I agree on the high fence it's not my cup of tea, but from what I've heard/read it's not quite "shooting fish in a barrel". His buck looks awesome! that is a lot of antler ! And I think Braydens looks great ! Your son’s deer has my legs quivering!!! Don’t care about bought deer. Those "store bought" bucks don't do anything at all for me but to each his/her own. Your son's buck is a beauty and I'd be very happy to get a chance at one like that! Congratulations to him! Great deer your boy killed. The trophy is just an instant memory of the special time together. As a young boy it’s about the trophy and quest. As a father, you can’t buy what it means to you. Congrats again. What taxidermist did you use?